Are you a bacon fan? 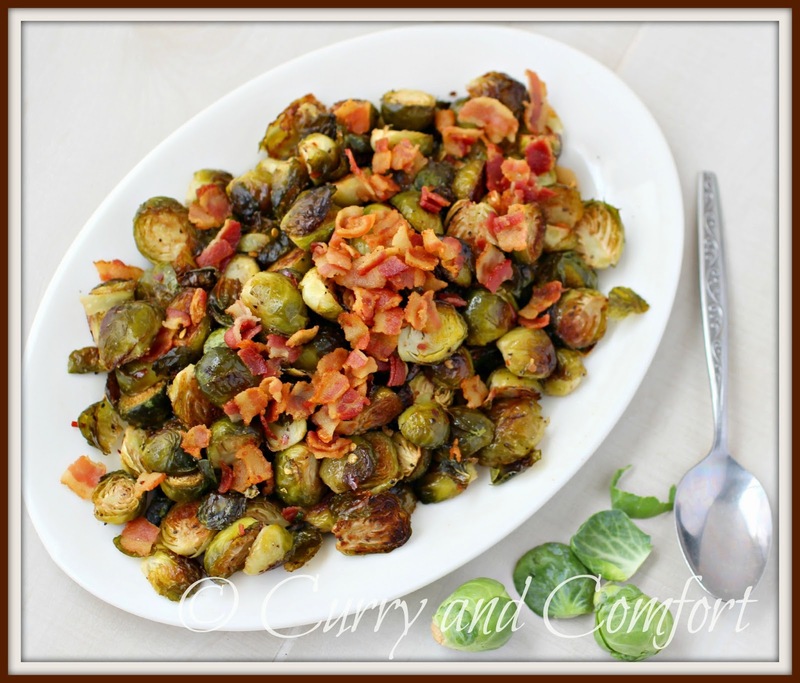 Everyone in my family loves bacon so if I want the kids to eat brussels sprouts... just add a little bacon and they will disappear. This recipe is so simple and easy, but you get a big bang of flavor. It's a perfect dish to serve any time of the year. We're having it again this Easter. 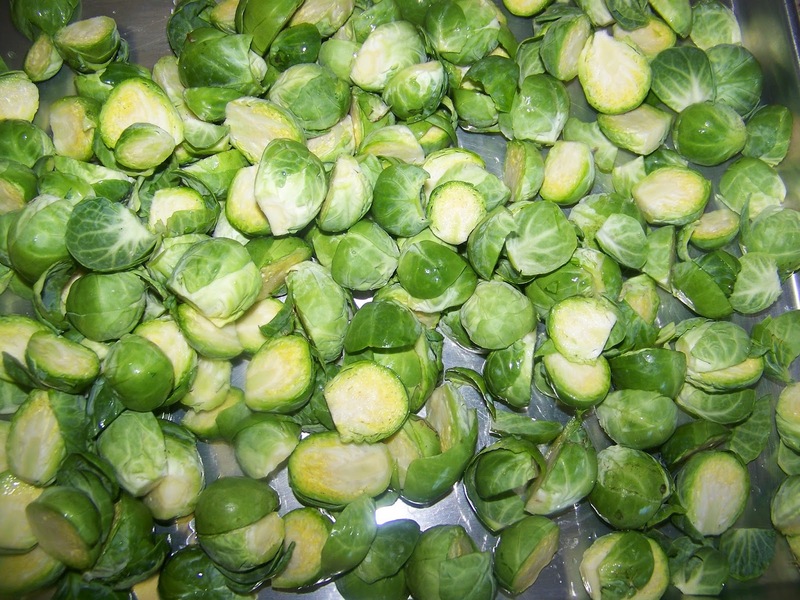 Wash brussels sprouts. Then cut off the end and cut into half. Allow to air dry on a baking sheet until needed. Meanwhile, cut bacon slices into small pieces and fry until crispy. Drain bacon pieces on a paper towel and reserve 2 Tbs of the bacon grease. 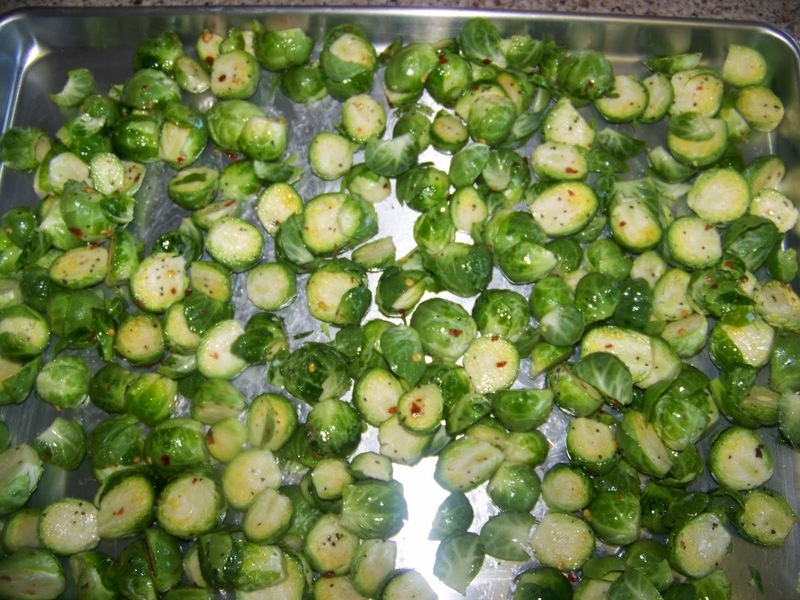 Toss cut brussels sprouts with salt, black pepper, red chili flakes and hot bacon grease. Place onto a baking sheet and bake in a 400 degree oven for 35-40 minutes until cooked and caramelized. Place on a platter and top with browned bacon pieces. Serve hot or warm. Enjoy. This is just how my husband loves his brussel sprouts. 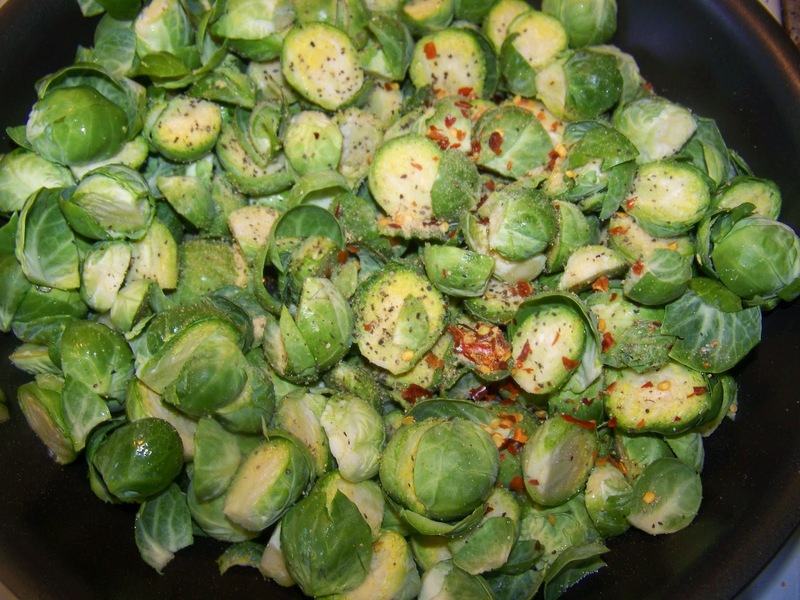 Such a delicious way to serve Brussels sprouts! So simple, but so scrumptious. This looks great, Ramona! 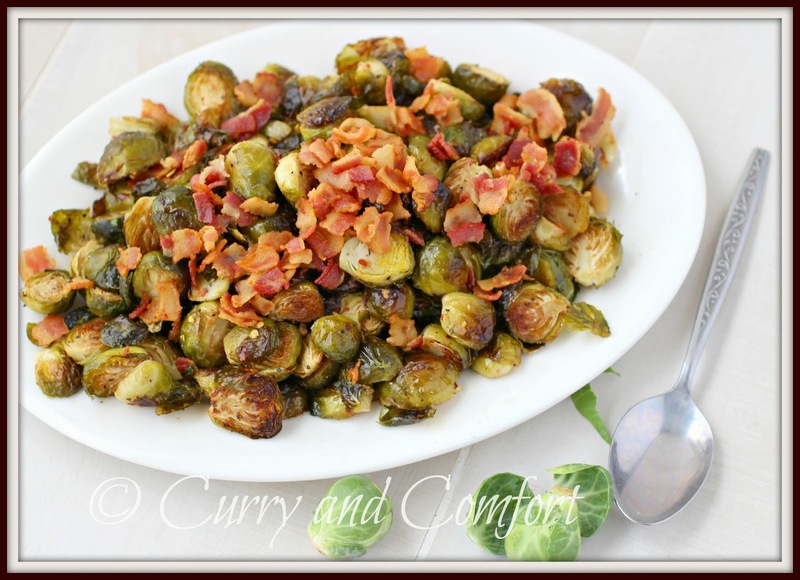 Bacon makes everything better, and I am seriously drooling over these brussels sprouts, Ramona! What a delicious side dish! 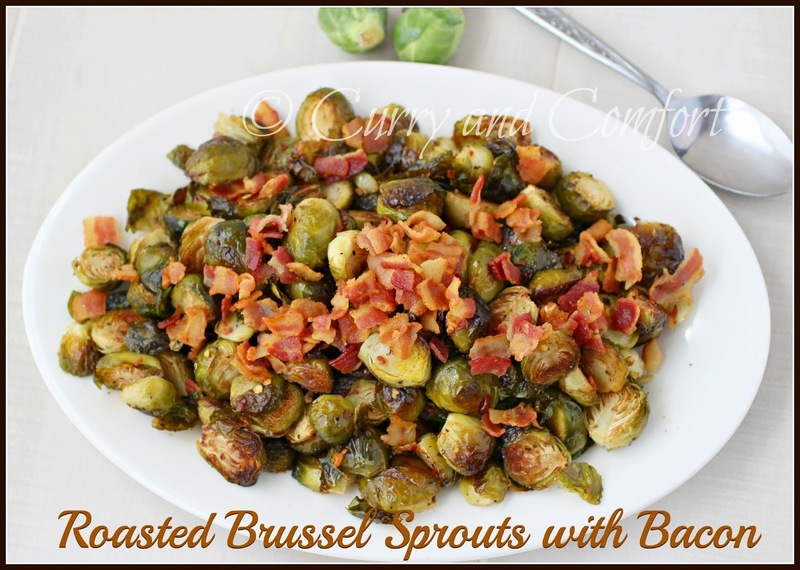 I may not be the biggest Brussels sprouts fan, but I am a huge bacon fan, so I know I'd be all over this dish!!! 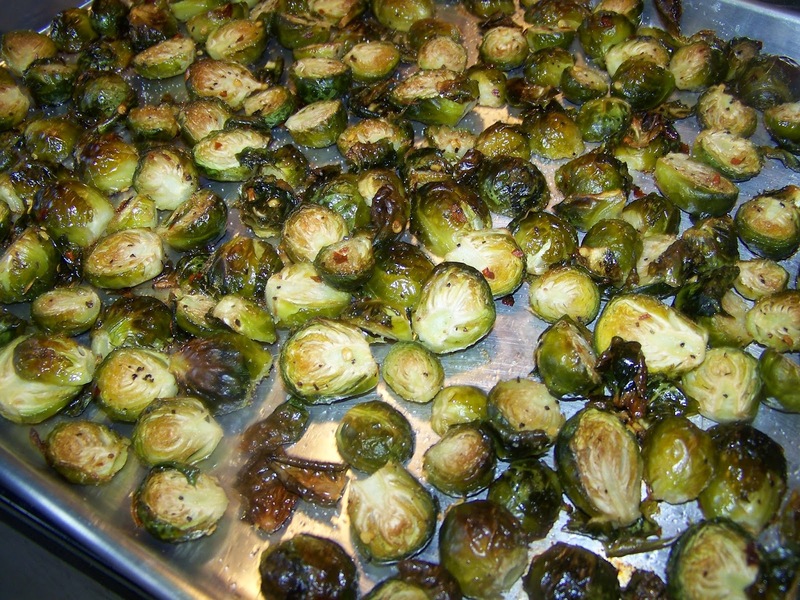 Now I need to find some Brussels sprouts!